It is difficult for one to study or speak about Japanese history without mention of the historical Shinobi or who are better known today as the Ninja. To many they are the dark clad “boogiemen” who owned the night in Feudal Japan. Lurking in the shadows, silently they would patiently wait for that right moment to make their move. In the movies they are portrayed as the ruthless hissing assassins who are sent in by the bad guy when all else has failed. So, is this really who they were and do they still exist? In the following I will do my best to paint an accurate description of the ninja, their history, myths, and beliefs and provide a glimpse as to where they fit into the world of martial arts. It is highly debatable by many as to who they truly were and the role they played. One definition of Ninjutsu is that of stealth, secrecy and concealment translated as “the art of stealth”. As mentioned before, the term Shinobi (another way of pronouncing the “nin” in ninjutsu) can also mean endurance, perseverance, and forbearance in both the physical and mental realms of life. Shinobi No Mono “those that are unseen” was also commonly used before the term ninja became popular. Prying apart the myth from reality has been the most difficult part of my study of the art because deception was such an important part of their role. Myth and superstition where tools of the ninja and would add to their power. However in recent years many truths have been unearthed from found scrolls and documents as to what the job of the ninja was but most importantly who they were. Ninjutsu was a skill set that today would be the equivalent of a James Bond figure or military Special Forces. The ninja were actually a part of the Samurai culture and would many times work in unison with them. It has been discovered that they would lead special missions and were actually a subclass of Samurai, not their sworn enemy as many have lead us to believe especially the movie industry. However, it is known that at one point the ninja did take a fall in social class which may have given birth to this myth. I’m certain just as in any culture some may have been nothing more than hired killers. The ninja are commonly referred to as a secretive society of mercenary assassins who were active in Japan from the Heian Period (794-1185) onward. Yes, Ninja did commit assignations however this was not their primary job. Ninjutsu is a complex system and not really considered by some as a standalone martial art system at all but a system of espionage. It appears largely based on the tactical teachings of Sun T’zu’s Art of War, the classic military treaties of ancient China which I might add was also studied by Samurai as well. There are no records stating that Ninjutsu was ever a separate fighting system of its own as so many still believe but a tailored version of the same budo taijutsu that the samurai utilized. It combined open-hand and weapon fighting techniques of budo taijutsu with survival strategies in hostile environments, psychology, and disguise. Combat was not the primary use of the ninja and hand to hand combat was used as a last resort as their missions were more often to gather information not to confront their adversary head on. Trickery and illusion was the strength of the Ninja and made up a great deal of the ninja’s arsenal. However, I do not believe that to be the case anymore. In my opinion, the art of Ninjutsu has definitely evolved into a now complete and unique standalone system of budo. Many believe that because of strict codes of secrecy, very little is known about the early ninja and their origins. There are also many stories and theories as to the beginning of what we know as the art of Ninjutsu today but very little solid proof exist as of yet. 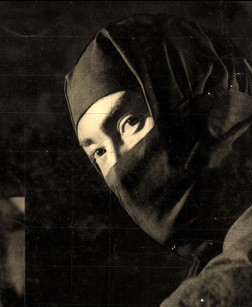 Each Japanese historian has his own set of facts and beliefs as to what is the truth about the ninja. So for the sake of being fair and the simple fact that I do not have all of the answers myself I will list other popular explanations of whom the ninja may have been. I will leave my opinion out and leave it up to you to make up your mind and find your own answers. With that said, according to one explanation, the ninja were originally Bushi warriors (Samurai) who had broken the code of bushido (for example, abandoning their sword in battle). Fleeing disgrace and dishonor, they fled to the remote mountain region of Kyoto. Here it is said that they formed bands of mercenaries and bandits. In these mountains they encountered the Yamabushi (“seekers in the mountains”), ascetic Buddhist mystics who practiced a severe regimen of martial arts exercises. In the neighboring country sides, stories of the mystic super-human power of the Yamabushi were told. They were alleged to have the ability to transform into a bird and fly away. 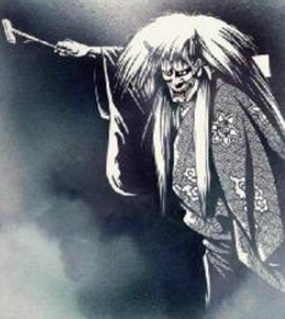 It was also said that they were descendants of the T’ang, mythological long-nosed (tengu) masters of the martial arts. Generals from the crumbling T’ang Dynasty also fled into this same mountain region of Japan. There they also encountered the Yamabushi and taught them the mystical and military traditions that had been prevalent in T’ang China. These teachings eventually would reach the renegade bushi, who incorporated them according to their own needs. The bushi, Yamabushi, and Chinese refugees then began to form their own communities where Japanese peasants fleeing the excesses of greedy daimyo also joined them forming the first ninja clans. It has been argued that it would have been only natural for an art form dedicated to physical and spiritual survival in the face of all odds to have materialized. Could this have been the birth of the art of underground resistance and self-direction we now know as Ninjutsu? The martial art styles and unique religious codes would have then been passed down to younger generations. Both boys and girls alike were trained from early childhood in the martial arts and survival techniques. These skills would have been handed down from generation to generation and from clan to clan. These people who were later referred to as the ninja, originally did not use that label for themselves. They considered themselves to be merely practitioners of political, religious, and military strategies that were cultural opposites of the conventional outlooks of the times. It was said that this was considered a highly illegal counter culture to the ruling Samurai elite and for this reason alone it was shrouded in mystery and deliberate confusion of history. It is unknown who was actually the first military leader to employ the Ninja. However, spying dates back long before organized Ninja clans. Legends say that as far back as the first emperor of Japan, two “ninja like” characters were credited for assisting with a decisive victory. As the passage of time continued to unfold the fabric of Japan’s history, the Ninja and their ways of accomplishment, known as Ninjutsu, were always present behind the scenes working subtly with the events of all the eras to ensure the survival and independence of their families and land. Throughout Japanese history the ninja were utilized in many decisive battles. 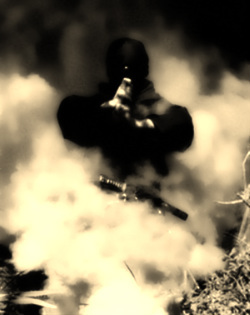 In the regions in Iga and Koga Ninjutsu became a special skill, refined and perfected by over 70 families, each with their own unique methods, motivations, ideologies and skills. For those who would say there are no more ninja, that they are dead and gone, I would have to disagree because if that were true you would not be reading this some 300 years after they were said to be moving through the shadows stealing into castles. I have even read stories where it was said there have been Ninja utilized in warfare as late as World War II. The idea and lore of the ninja is timeless and will live on in our imaginations, dreams and lives. The ninja do still exist; maybe not exactly the way they were in feudal Japan but a Ninja that has evolved into something more. I realize this next statement could be very controversial; I believe that if your sensei teaches with a pure heart, believes in what he is teaching, and his teachings are done for the right reasons - what does it really matter what scroll or lineage he or she posses. I also believe that regardless of who or what ninjas were originally and what ninjutsu was used for, if you take something positive away from your experience with any interpretation of the art of Ninjutsu and it has made your way of life better it is a good thing. This is something no scroll or historical fact can give you. The system of Donjitsu Do technically has no lineage because it started with me. It was born from information that has been compiled from the study of martial arts, my own personal experiences, old and new ideas, Japanese philosophies, and techniques proven over time on distant battlefields and in my life. I have openly taken from many systems including Ninjutsu, incorporating movement and ideas to create a system that is truly effective. Now infused with Donjitsu Do many of the concepts of Ninjutsu will live on. Over time I feel so much emphasis has been put on what it was however, we must not forget that in time everything evolves and it is up to those who study any art to take it to the next level and decide what it is to become and not worry so much about what it was. So I thank those men and women of the shadows who inspired me in so many ways to persevere and strive to become better person and warrior. In Donjitsu Do the term “Ninja Magic” is used often. To better understand its meaning we need to explore the term “magic” and its past. Some form of magic has influenced every culture from the earliest times whether it is for entertainment, religious ceremonies or cultic rituals. The dictionary list the term magic as being the use of supernatural methods, illusions using the sleight of hand and existing or operated by magic. Simply magic is what we don’t understand or are unable to see therefore we call it magic. A guiding philosophy of the historical ninja was to choose the cover of darkness or the shadows, silence and subtle methods over those that are bold and aggressive. In this way the natural order of events were only slightly disturbed. As mentioned before, suggestion or doubt took the place of force and deception and trickery took the place of confrontation. One’s adversary was unknowingly guided into doing the bidding of the ninja instead of using brute force to crush his adversary. He actually had his adversary destroy himself physically, strategically, or financially. This was a way of working your will without action. The ninja were able to accomplish great tasks that would expend very little energy. A few well-placed ninja could do the job that might take an entire army to accomplish. The direct tactic of war is necessary only on the battlefield, but only the indirect tactic can lead to a real victory. Subvert anything of value in the enemy’s country. Implicate the emissaries of the major powers in criminal undertakings; undermine their position and destroy their reputation in other ways as well; and expose them to the public ridicule of their fellow citizens. Do not shun the aid of even the lowest and the most despicable people. Disrupt the work of their government with every means you can. Spread disunity and dispute among the citizens of the enemy’s country. Turn the young against the old. Use all means necessary to destroy their arms, supplies, and the discipline of the enemy’s forces. Act with moral superiority to draw the trust of the enemy’s people, in this way you gain the enemy’s own people as an ally against him. This was a way of using espionage as weapon for war and the true strength of the ninja. The demon mask commonly worn by the ninja to inflect fear in the superstitious is actually that of a woman scorned, outraged and turned demon. Today this Hannya mask is the most well know mask found in the Noh Theater of Japan. This is not to say that “ninja magic” cannot be employed in actual hand-to-hand combat. In reality it is very effective on the battlefield as a tool of combat. In mortal combat it is used as a tool of confusion, trickery and a way of making your adversary fight your fight. You must be predictably unpredictable and your opponent must believe in your magic. But most of all you must believe in it yourself or it has no power. The magic lies in what you convince you’re adversary to be a reality. Regardless if it is fainting an injury, projecting fear or submission it must be truly believable. If he can see it with his own eyes it must be true. If he can feel it with his own hands then it must be there. You must be able to get inside his head and control his thoughts if only for a brief moment. You must be able to do this time and time again at will. Mortal combat happens very quickly and in most cases a split second is all you have to use this magic. If done correctly, by the time his mind can process that it is a deception it is too late and you have achieved victory over your opponent. If done incorrectly and your opponent didn’t believe in your magic you may not get another chance. This concept requires great study to understand and employ.